Have you decided to tie the knot? Then please accept our heartfelt congratulations. 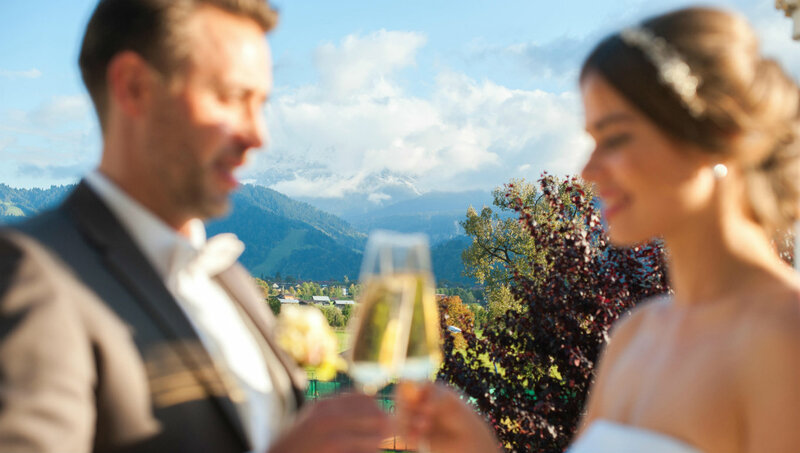 Getting married in Garmisch-Partenkirchen is always something very special. The unique valley location and the many crystal-clear lakes positively invite you to hold a wedding ceremony out in the open air. Those wishing to do so, can even say “I do” right up on the Zugspitze, Germany’s highest mountain. Equally romantic is a winter wedding in a cosy alpine chalet with a view of the snow-covered alpine peaks. 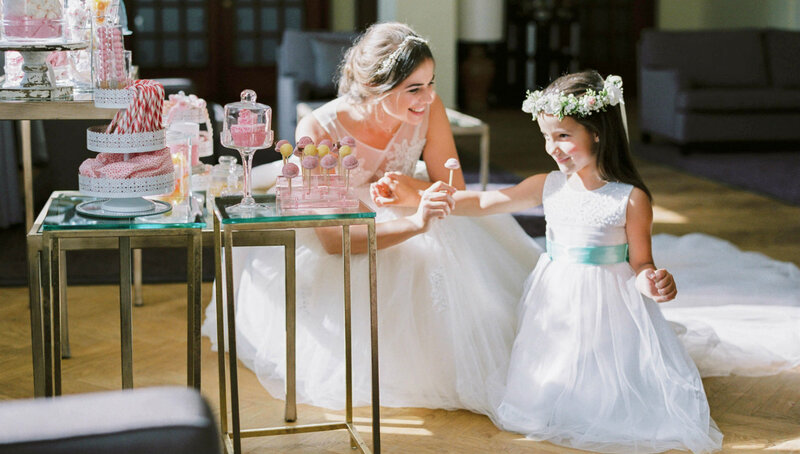 The happiest day of your life deserves a suitable wedding reception. We would be very pleased to organise your festivities at the Grand Hotel Sonnenbichl. When you decide to book one of our wedding packages, we will make sure that your wedding reception will be an unforgettable experience. 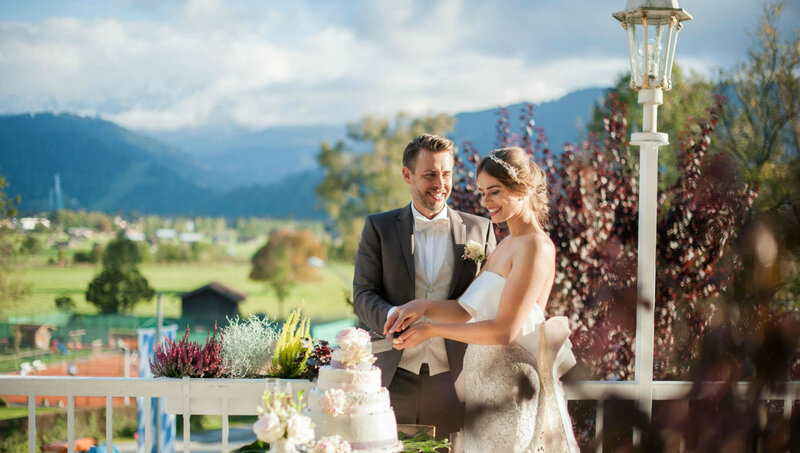 Garmisch-Partenkirchen is very inviting for an outdoor wedding in the warm months with its stunning scenery, numerous waterways, green valleys and a fantastic view oft the Alps. You feel like heaven? Then make it true and experience your wedding high up on the Zugspitze- what an experience! Visit the cozy mountain huts in Garmisch-Partenkirchen for romantic highlights. The atmosphere, fire, bavarian specialties and pure coziness make it unique . A wedding is a unique moment which should be celebrated properly. 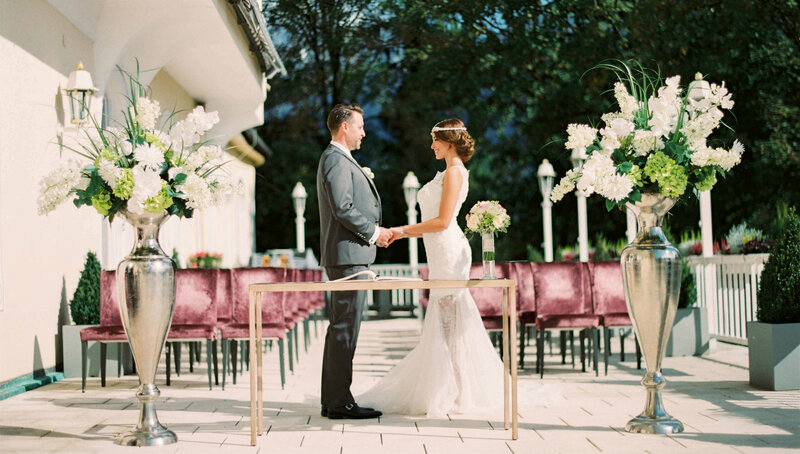 The Grand Hotel Sonnebichl is happy to help to make your wedding unforgettable. The hotel is in a fantastic location in Garmisch-Partenkirchen. Our guests enjoy the incomparable view of the Alps with the Zugspitze, from their room or the hotel terrace. 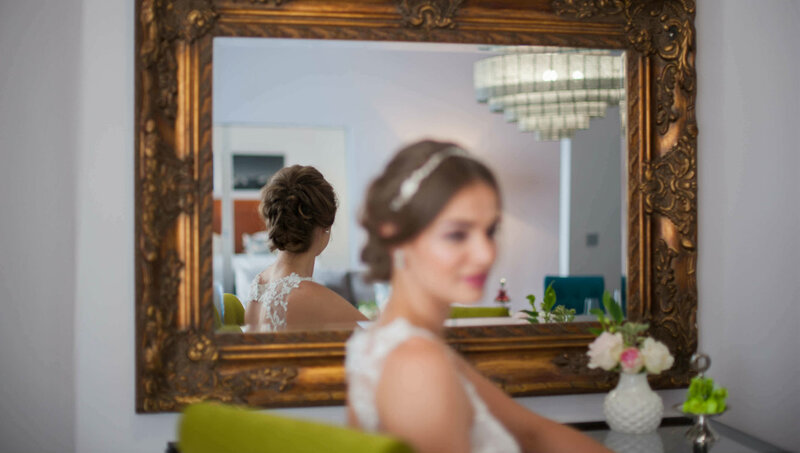 You can celebrate your wedding in one of our stylish and elegant event rooms. There is space for up to 30 guests in our bright Restaurant „Casper B“ and in our friendly „Roten Salon“is space up to 75 guests. 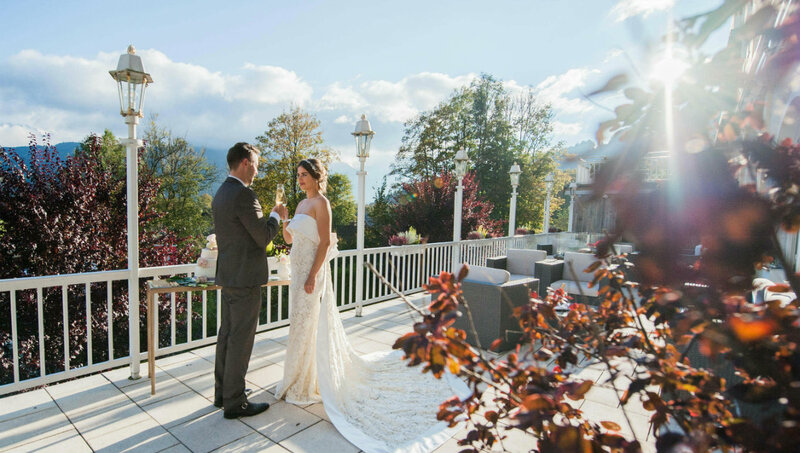 During warm months, our large terrace with space for up to 80 people is ideal for receptions after the marriage or for coffee and cake in the afternoon. Arrange your individual wedding party with our puzzle system. Detailed information and prices are coming soon. Request further information and quotes for your wedding reception now.